Posted by Eddie & filed under Military/Aircraft, Mountains & hills, March 24 2010. Last Sunday I went for a short walk in the western Ochil Hills at Sheriffmuir (nor far from where I went to school). 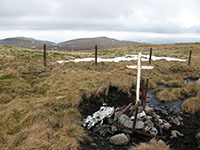 This area of the Ochils has historical associations with William Wallace and also the Jacobite uprising of 1715. Near the start of the walk was an interesting ancient alignment of stones, that seem to point towards the escarpment of the Touch Hills on the horizon, and one of the stones is called the Wallace Stone after William Wallace. I walked in a circuit around the amphitheatre of Glen Tye taking in the 631m high point of Blairdenon Hill and the featureless moorland of Menstrie Moor (an area which I thought was reminiscent of larger and higher landscape areas further north in the Cairngorms). There were a lot of low clouds about on the walk but there were still some excellent views north towards the southern Highlands and south towards the Forth valley. There were still large patches of snow on the route and the views from Blairdenon Hil towards Ben Cleuch, the highest point in the Ochill Hills, showed it still had large areas of snow cover on it. 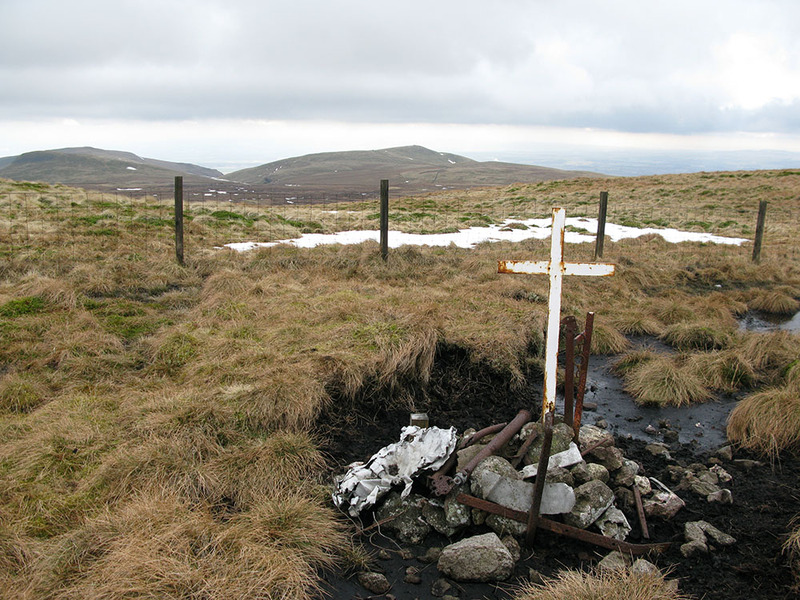 Between the summits of Blairdenon Hill and Greenforet hill there is a memorial cairn and cross to a pilot who died here in a crash in 1957, with a few small pieces of the aircraft lying around the cairn. You can see my page about this site on my website here.